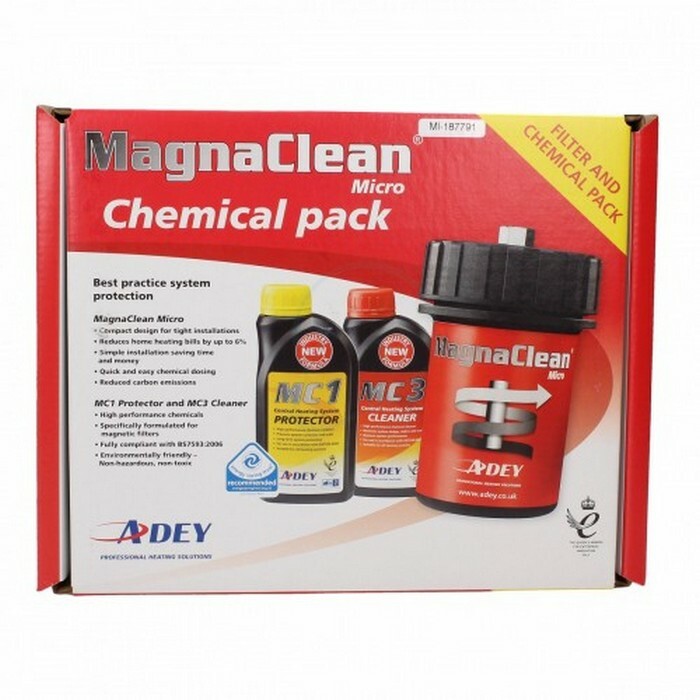 The MagnaClean Micro chemical pack combines the popular Magnaclean Micro with ADEY’s two essential new install chemicals. The MagnaClean Micro chemical pack combines the popular Magnaclean Micro with Hydrocare cleaner and inhibitor. Including Protector and Cleaner in the pack makes it outstanding value for money.